Are y'all tired of snow yet? Yea me too. But this snowman mason jar gift still drew me in. 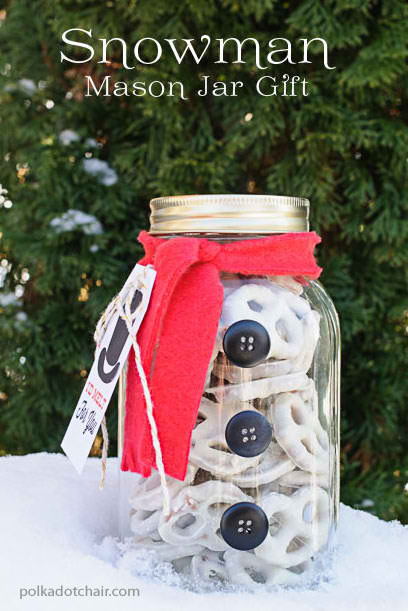 I love the use of buttons and it is so simple you can make this one in minutes. Head on over and get the full instructions plus the printable tag from Polka Dot Chair.